I have been a huge fan of the Harry Potter book and movie series for years and in honor of the release of the final movie :`-(, Harry Potter and the Deathly Hallows Part 2, I had to do a manicure. 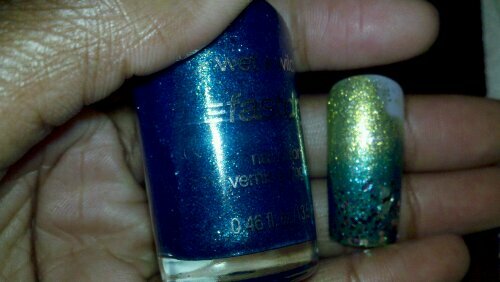 My inspiration for the manicure wasn’t Harry, Hermione, Ron or Hogwarts. I’ve seen so many manicures dedicated to the good guys. 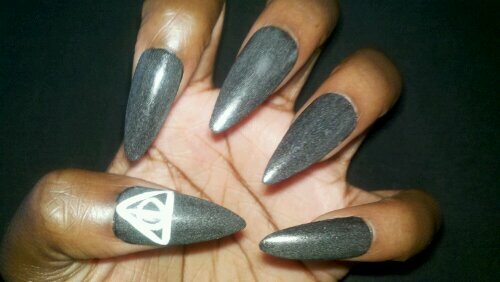 I really wanted a manicure that reflected the dark side, so my inspiration was Bellatrix Lestrange. 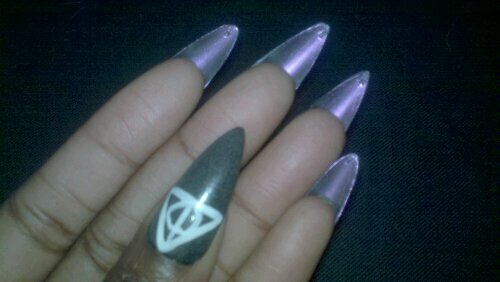 In brainstorming, ideas for design I knew that Bellatrix would definitely have stiletto nails. 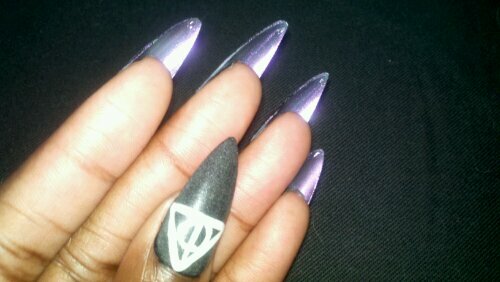 I’ve done a Less Extreme Stiletto Manicure but Bellatrix’ nails would be true stilettos. 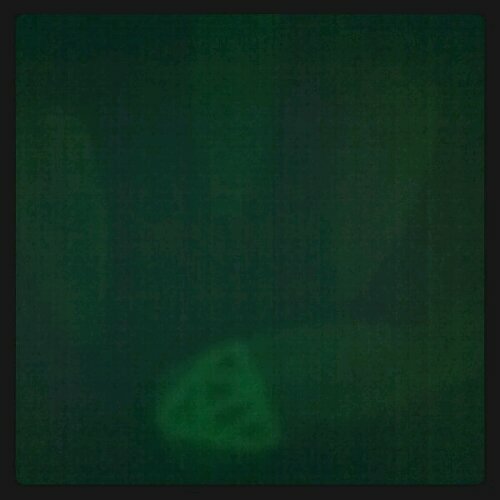 I updated this pic to show the green glow more clearly.